I’m sorry, but my latest release is BOMB! I’m so excited to be dropping my first urban romance novel under Royalty Publishing House. It’s still a young adult novel, but the themes, as always, cater to women of all ages. It drops on Kindle Saturday, October 17, 2015. Seventeen-year-old Taz Elizabeth Green is every man’s fantasy, every girl’s women crush and the envy of many of the women she strips with in Philadelphia. But she’s not your average stripper. A virgin whose parents were murdered when she was 12, Taz only dances because she truly loves it – not because she’s broke and hungry. Not one to make an excuse or take part in self-pity, she wiggles her way into private parties for politicians and police officers, adding to the stash her parents left her. Even the Grady’s, the family that adopted her when her parents were murdered, have no idea the double life Taz is living. They sent her off at sixteen to UCLA, a genius that had been skipped twice in school, to get a degree in Business and Design. Only, Taz returned to Philadelphia a year later with more than just college credits to her name. The only thing Taz fears is her father, Officer Drew Grady, painting the town red when he finds out. Her best friend Daylen believes in her and so does her cousin Shamiyah. With encouragement, she learns to manage Shamiyah’s lingerie store and takes baby steps to a purpose filled life. She even increases her church attendance and prays more, seeking answers to unknown questions. Enter Curran Kilman, the UPS driver who delivers to the store and suddenly, Taz’s desire for fun in the nightlife changes to nighttime picnics and strolls in the park on the weekend. She can tell Curran might be “the one” and she feels he may be getting closer to making a commitment. But not before she’s exposed at the church she’s been attending – on the Sunday her and Curran go together. And to make matters worse, Daylen’s leukemia diagnosis brings out a family secret that could add layers to Taz’s demons – and for once, she’s not sure how to fight. Not to mention every time Taz leaves the hospital or her condo, there’s a black SUV parked outside and she is sure she’s being followed which is confirmed when Taz almost meets death on more than one occasion. 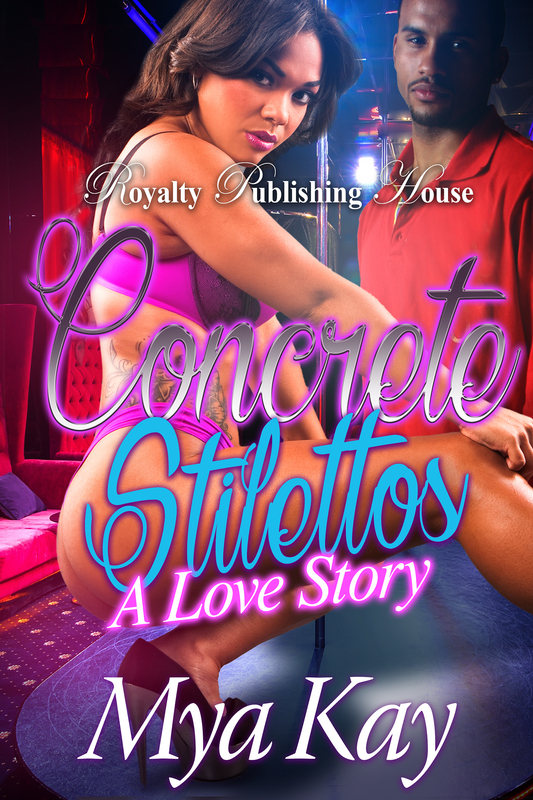 Pleasure and purpose collide in Concrete Stilettos: A Love Story, the story of a teen girl who’s lost in a world full of judgment and sin, but knows God is calling her name. Don’t forget, you can pre-order it for $20 by clicking on the cover image under My Books. It includes shipping and a personalized, autographed copy of the book. Print release date is 10/30/15. In the meantime, I created a soundtrack for the book using Spotify. To listen, you only need to log in with your facebook or your email. To me, movies aren’t the only medium that can have a hot soundtrack with it. 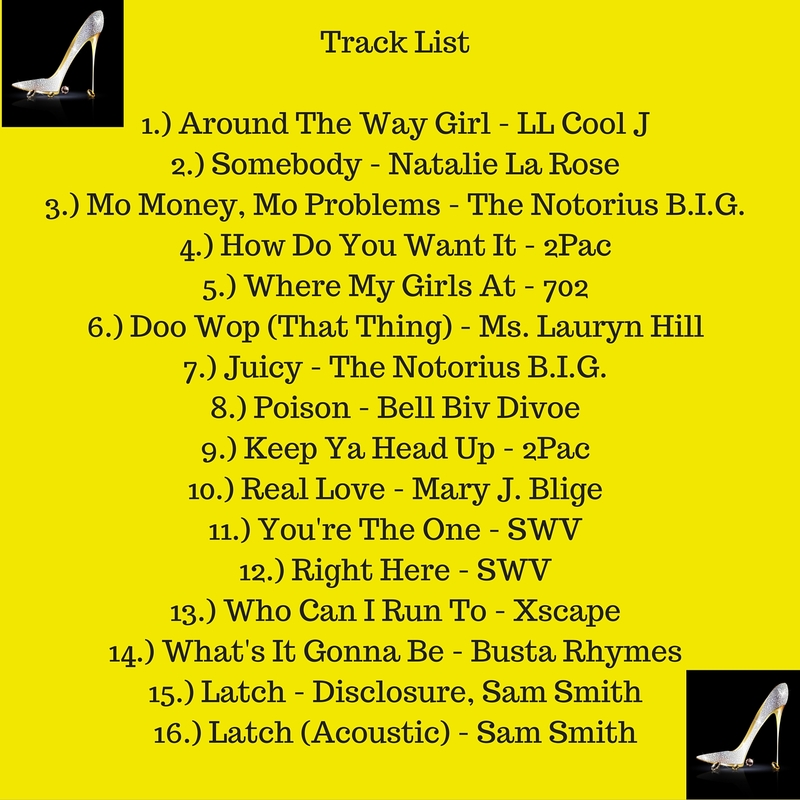 This is a list of some of my favorite songs that I felt fit the book well. Just click the link under the album artwork to hear.